The thing about startups is that they can actually change the world and anyone with a vision can start one. A year ago, I would have rolled my eyes and chalked this thinking up to blind optimism. I lived in a world where technology was solely for finding information and communication purposes. Startups were the inventions of ambitious engineers. I was missing the full potential of technology - the social context. It would take a personal connection with an unsolved social problem to motivate me to finally shed my outdated views and use technology to push the boundary in human rights. I did not major in computer science. I do not have an engineering degree or a PhD. I do not even have a Bachelor of Science. I have a Bachelor of Arts in Health and Societies from the University of Pennsylvania. And I am the optimistic co-founder of an imaginative startup with the potential to change thousands of lives. My experience co-founding a startup has planted me face-to-face with a troubling realization: for over a decade, I had subscribed to the misconception that successful startups are the creations of engineers and MBAs. Looking back, I can clearly see that for years this belief had drastically narrowed my box of possibilities, forcing me to define "success" in pre-professional terms. Today, I cannot help but wonder how many other young people harbor the same-type of restrictive thinking. How much innovation can we unlock through simply publicizing that anyone, technical genius or English prodigy, has the ability to build a tech startup capable of achieving a meaningful social impact? How much better would eliminating this false notion make our world? I think the first step is to acknowledge the existence of the social entrepreneur. Social entrepreneurs are passionate about creating disruptive social change - they are bold, committed, and unapologetic in their quest to change the world. When combined with the powerful force of technology, the social entrepreneur becomes unstoppable. These two beings are complements: they thrive in a partnership, and destruct in competition. Someone with vision and creative thinking is just as valuable today as a gifted programmer or business guru. I have never coded or even taken a course in computer science. But in July 2014, I was faced with a problem that resonated with me to such a degree that I simply had to try to solve it. I had found my purpose - I regarded my lack of technical skills as a mere complication instead of a death sentence for my dream. It all started when I found out that it is still illegal to be gay in 77 countries. These countries' governments imprison, abuse, and even kill their gay citizens. As a result, the persecuted often seek refuge in the U.S. 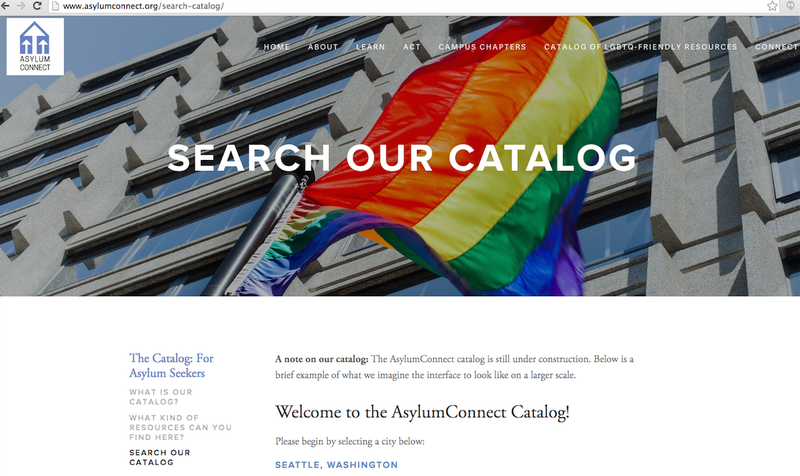 But upon arrival in the U.S., LGBTQ asylum seekers often have nowhere to go, no social support, and no legal right to work. Many end up homeless. 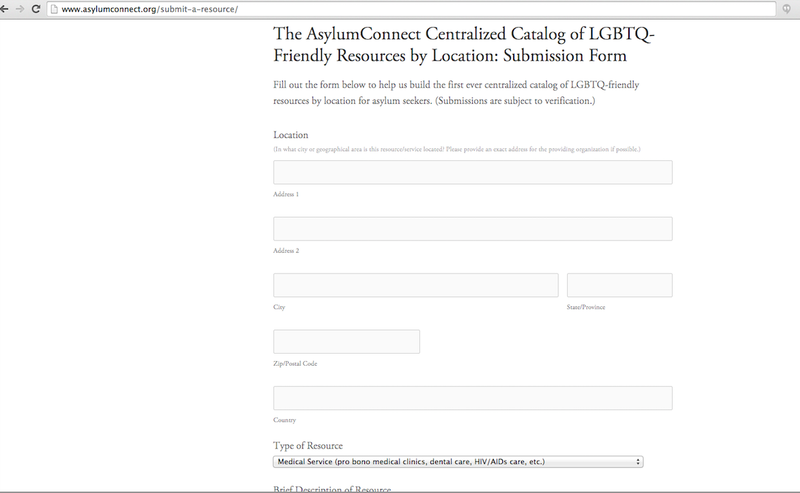 An estimated 44 percent of LGBTQ refugees suffer from post-traumatic stress disorder (PTSD). 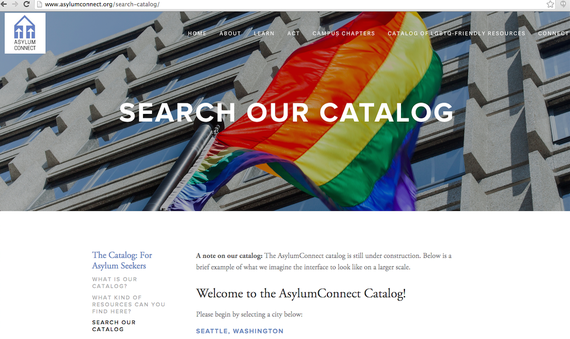 Along with AsylumConnect Co-founder and Co-director, Sy Abdul, I began to attend forums about the numerous challenges facing LGBTQ asylum seekers in the U.S. We discovered that despite access to technology during the asylum seeking process, LGBTQ asylum seekers still lack adequate information to meet their basic human needs. We were two undergraduates - a Health and Societies major and a Political Science major. But we had a vision. 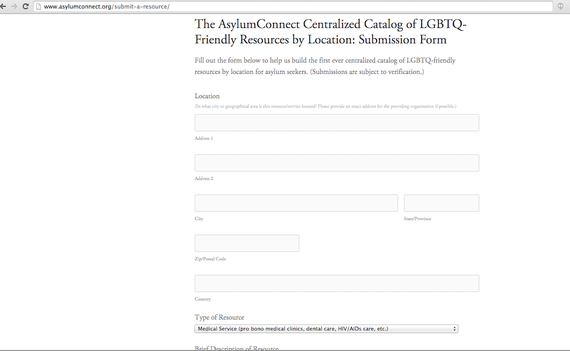 We co-founded AsylumConnect to address this situation.